The arrival of the next generation of Intel Core processors is drawing near and, as you would expect, the chipmaker is busy drawing the world's attention to all that is worth highlighting about its upcoming "Haswell" (codename) chips. The company most recently talked up the 22nm chips it is widely expected to launch early next month at a media briefing it hosted last week. Almost all the talk about Intel's Haswell microarchitecture has, until this point, centered on its improved integrated graphics part and vastly reduced energy appetite, and this event was no different. 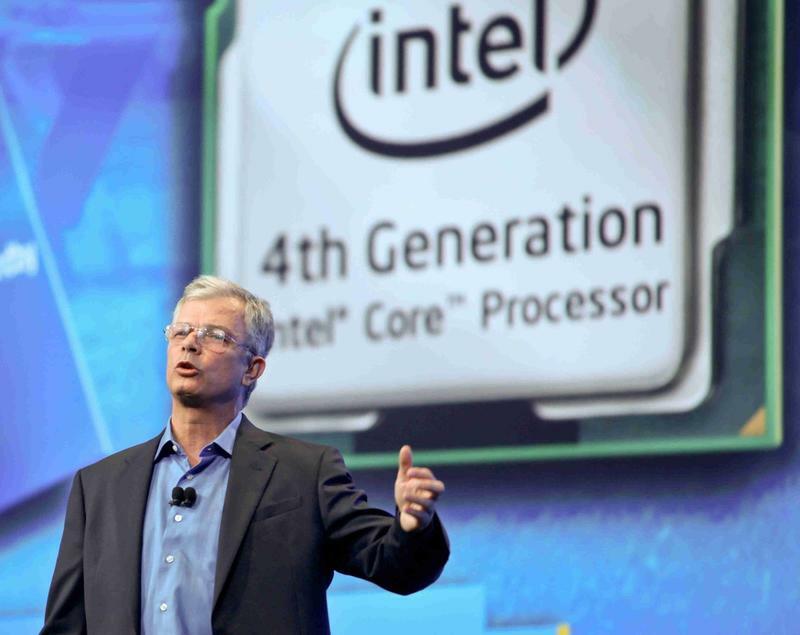 Per Rani Borkar, corporate vice president and general manager of the Intel Architecture Group, Haswell-based laptops will be 50 percent more power efficient as their Ivy Bridge-powered predecessors during normal operations, last up to 20 times more while in idle or standby mode, and still manage to be way more powerful than "content consumption" devices. Improving the performance of its chips' integrated graphics is another key area where Intel seems to have put in a lot of work. This has, according to Borkar, resulted in an integrated graphics solution that delivers double the performance of Ivy Bridge-powered laptops and thrice that of Ivy Bridge-based desktops. If Haswell is as good as is being claimed by Intel then this is undoubtedly the best opportunity Ultrabooks have of accomplishing what they were originally supposed to do: to bring the ongoing rally in tablet sales to a screeching halt. Original Post by Pulkit Chandna, Reposted Courtesy of Maximum PC – Covering everything from hi-end gaming PCs to tablets, peripherals and home theater rigs, Maximum PC's print and Web editions stay one step ahead of the fast-changing world of everything computer and computing related. Whether its the latest on building your own desktop system, reviews of the latest laptops and accessories, or roundups of the games and software that make your machine go, Maximum PC brings it to you with news, reviews, and years of expertise. TechnoBuffalo is thrilled to bring you the best of Maximum PC right here on our own pages to keep you immersed in all things digital.